What a great way to remember a wonderful day at the beach! 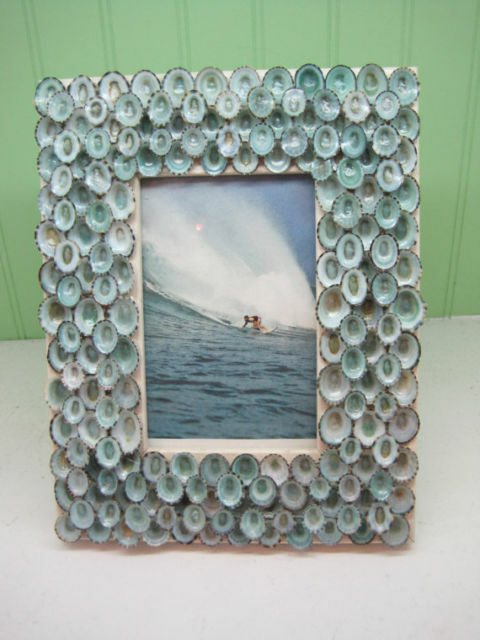 I added blue limpet shells around the entire white wooden frame. It measures 9 1/2 X 7 1/2, with a picture opening of approx. 4 X 6. Use this piece to brighten up any room and bring a little bit of a coastal beauty into your home! 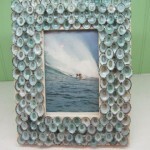 Makes a great gift for any beach lover too!